As an industry, biopharma actually fares pretty well when it comes to taxes. Among profitable companies, biotech and pharma have some of the lowest effective U.S. tax rates compared to companies in other sectors. But that doesn’t mean they have stopped working to push their tax rates even lower. Along with a recent ramp-up of the usual strategies, such as buying companies or assets based in low-tax locales or moving intellectual property there, the industry also is starting to take advantage of the newest twist on tax inversions – in which two companies in high tax locales, only one of them the U.S., merge and create a new company based in a low-tax country. The specialty pharma consolidation frenzy is driven in part by tax benefits derived from buying companies in lower tax jurisdictions like Ireland. The spec pharma with the lowest tax rate wins – or at the very least earns the right to leverage all that cash on their books to gobble up higher tax rate competitors, thereby making higher margins on the same products. Valeant is the obvious winner on this front; it will have an astonishing 2% tax rate in 2014, according to data from RBC Capital. 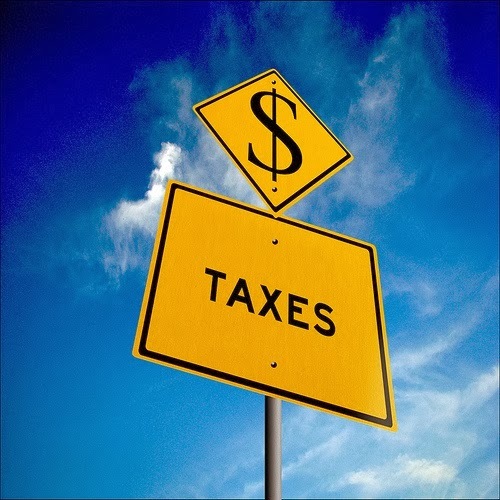 But most recently, taxes were also a factor in the Actavis purchase of Forest Laboratories Inc. Actavis had already lowered its tax rate with the acquisition of Irish-headquartered company Warner Chilcott that completed last fall. Now Actavis can apply that reduced tax rate to a product portfolio that will encompass Forest. Prior to the deal announcement, RBC expected Forest would have a 24% effective tax rate in 2014 and that Actavis’ would be 17%. And, of course, Perrigo is also a newly Irish company, with its purchase last year of the floundering Elan. But there aren’t a lot of direct routes left to Ireland. The largest independent, public Irish therapeutics company is drug delivery company Alkermes; it’s only one of six remaining that also include another drug delivery play Merrion Pharmaceuticals as well as antibody company Prothena, according to the Strategic Transactions database. Most biopharmas count themselves lucky to have an effective tax rate in the teens – or even the low 20s. The big biotechs with the highest anticipated 2014 effective tax rates are Biogen Idec Inc. at 27% and Gilead Sciences Inc. at 25%, according to RBC. Between them they’ve had two of the most successful launches in recent years for Biogen’s Tecfidera (dimethyl fumarate) and Gilead’s Sovaldi (sofosbuvir). Intellectual property for each of these products is domiciled in Ireland in an effort to curb tax expenditures. But that’s a long-term solution that could take years to work. Biogen had a 28.8% non-GAAP tax rate in the fourth quarter. Due to a larger percentage of its profits coming from the U.S. with the Tecfidera launch, the biotech expects the rate to remain at this level through 2014 but for it to subsequently decline in the following two years. Alexion beefed up its Irish and Singapore operations last year and in January bought an Irish vialing facility for its Soliris (eculizumab). These efforts resulted in tax benefits that are expected to give it a 2014 non-GAAP tax rate of 11% to 12% (GAAP tax rate of 20% to 25%). That’s down from a whopping 51.9% effective tax rate in 2013, which translated into an income tax provision of $273 million. Alexion’s non-GAAP rate is expected to rise to 13% to 14% in 2015 and 16% to 18% in 2016 and beyond, since some benefits are only short-term tax credits. The most creative tax tactic in the sector is the recent Endo-Paladin deal. The usual approach to tax inversion is for a U.S. company to become the subsidiary of a foreign company. The latest twist on this long-standing move, the third deal of its kind according to RBC, is exemplified by the Endo-Paladin merger, in which a U.S. and Canadian company are merging to form a new entity – in this case, an Irish company. One risk of being overly imaginative with corporate tax strategy is always bad publicity, as it can trigger allegations of being a ‘tax avoider’ or, even worse, attract the tender attentions of the IRS. Those issues make it difficult for the big multinationals to be very aggressive on the tax front, although becoming enormous hasn't slowed Valeant’s efforts on this front. The highest corporate income tax rate in the United States is around 40%, including federal, state and local taxes. But at $242 billion in 2012, corporate income taxes are a small percentage of U.S. federal receipts compared to the $1.1 trillion in individual income taxes and $845 billion in social insurance taxes during that year, according to a recent Government Accounting Office report. Since the 1980s, corporate taxes have ranged from roughly 6% to 15% of federal revenue. Ireland isn’t the only useful tax locality – the top four are the UK, Ireland, the Netherlands and Switzerland, according to RBC. These countries had a 2013 corporate tax rate of 23%, 12.5%, 25%, and 18%, respectively, according to data from KPMG. Ernst & Young’s Mitchell Cohen, the life sciences global tax leader at Ernst & Young, also includes Belgium (35%, with substantial patent and R&D related deductions and credits), Singapore (17%) and Puerto Rico (20% to 30%) among the ranks of countries with a significant life sciences presence that provide tax benefits. Among profitable companies overall, the average effective tax rate is 26.6%, according to a current dataset from Aswath Damodaran, a professor of finance at the Stern School of Business at New York University. The profitable pharma companies in his dataset had a 22% average effective tax rate, while the money-making biotechs were at an average of 17.4% That puts both groups in the bottom one-third of corporate tax paying sectors. And while DOTW can't promise that you'll personally enjoy an effective tax rate of 2% this season, we do want to send you off with this week's deal news. Please read on to discuva the latest, including a pair of preclinical deals and another two that were called off in this week's edition of. . . . Thanks to 401(K) 2013 from Flickr for the use of the image, which we find both alarming and strangely beautiful.